As revealed earlier this month, Tom Clancy’s The Division 2 will be holding an open beta at the beginning of March, and now Ubisoft has revealed what said beta will contain. For the most part, the open beta will be the same as the previous private beta, but it will include some new stuff – an additional mission, Skirmish PvP map, and skill, a level cap increase (to lvl 8), and more. You can check out a quick teaser trailer for The Division 2 Open Beta, below. 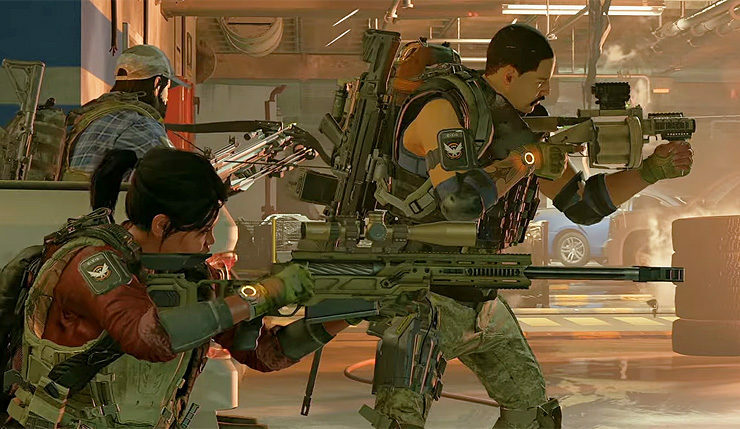 The Open Beta will also feature a portion of The Division 2’s end game! After completing Jefferson Trade Center for the first time, you will gain access to an end-game mission that unlocks three level 30 characters on your account. Upon logging in with one of these characters, the end game mission will begin. Each character is equipped with a different Specialization, so feel free to find your favorite! In contrast with the Private Beta, this end game mission will be available with the start of the Open Beta. 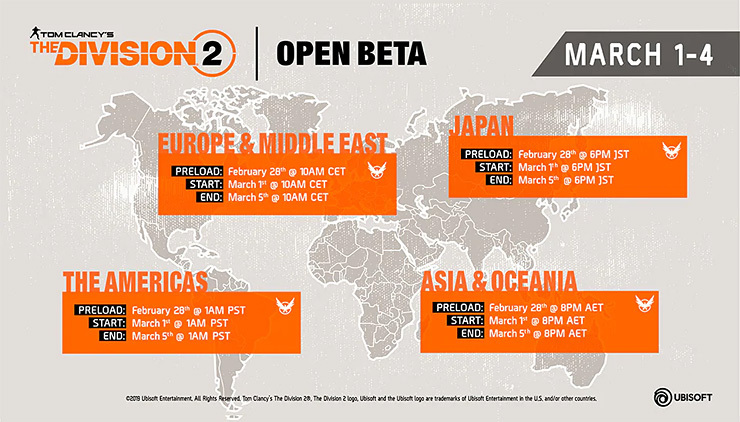 The open beta kicks off on March at 1am PT and will continue until March 5 at 1am PT. You can start preloading the beta the day before (February 28). Here’s a handy start time guide for those living in different places in the world.